Let’s do a focus group and find out. This tried-and-true approach to innovation leading to brand extensions, new product categories, and new marketing approaches has and continues to be used as a cornerstone of market research efforts. In an interesting BusinessWeek article dating back to 2005, titled “Shoot the Focus Group”, the author states that although there are plenty of examples and ample evidence that Focus Groups fail time and again, companies keep using them. You probably know the famous examples of the failure of Chrysler’s Aztek car and the surprising success of PT Cruiser, Coca Cola’s “New Coke”, Ford Edsel, and plenty of others horror stories of focus groups gone wrong. And why is that? I like Gerald Zaltman’s explanation that “The correlation between stated intent and actual behavior is usually low and negative” which also reminds me of an episode of Mad Men where Don Draper chastises a hired researcher to do a focus group for one of their clients, see below. Excerpt from Mad Men, Season 4. “The Rejected”. Faye: Well, I’ve done everything but finish the report. Faye: Well, it turns out the hypothesis was rejected. I’d recommend a strategy that links pond’s cold cream to matrimony– a veiled promise. Don: Hello, 1925. I’m not gonna do that, so what are we gonna tell the client? Faye: I can’t change the truth. Don: How do you know that’s the truth? A new idea is something they don’t know yet, so of course it’s not gonna come up as an option. Put my campaign on tv for a year, then hold your group again, maybe it’ll show up. Faye: Well, I tried everything. I said “routine”, I tried “ritual”… all they care about is a husband. You were there. I’ll show you the transcripts. Don: You can’t tell how people are going to behave based on how they have behaved. So, what’s the problem with focus groups? 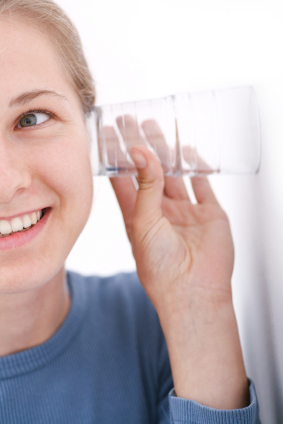 In a Harvard Business Review article, Turn Customer Input into Innovation, Anthony Ulwick says “companies go about listening to customers all wrong”. Customers are asked to offer a solution to a problem but they aren’t informed enough, aren’t experts in the field and have a limited frame of reference. The solution, according to Ulwick, is to focus on outcomes. This means that instead of asking for customers to submit solutions to a particular problem, they should focus on understanding what customers value most. But how about using social media? I strongly believe that traditional marketing tactics can be greatly enhanced by using digital tools and when it comes to market research, social media channels should be top of mind. That includes paying attention to comments on your blog, using your Facebook Fan Base to test new ideas, monitoring Twitter feeds, and more. Whether social media will replace traditional market research is up to debate, the active use of social media to complement market research can dramatically improve a company’s success ratio for new product launches and maybe take away some of that bad rap focus groups have. Will Social Media Replace Surveys as a Research Tool? Note: Mad Men is Copyright of American Movie Classics Company LLC. 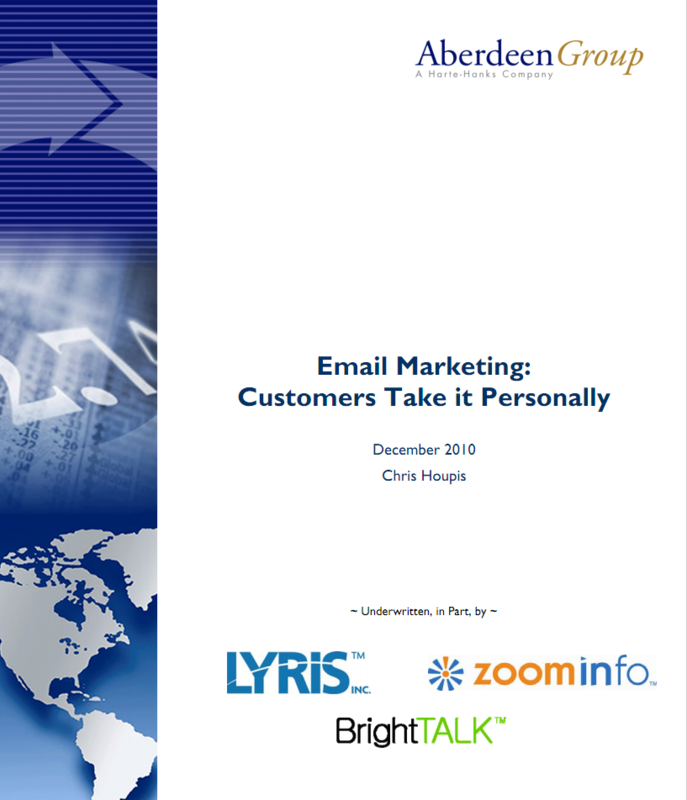 The new research report from Aberdeen Group “Email Marketing: Customers Take it Personally” has some very interesting insights. They talk about how the increase in the number of available marketing channels coupled with the resource constraints of most marketing organizations is the toughest challenge for marketers to overcome. If you have just started your 2011 campaigns after battling the budget process, I bet you can definitely see some relation to your own company. This is definitely contrary to a lot of the predictions of email marketing’s death and the rise of social media as the main communications channel for marketing that we heard throughout 2010. And, they add that the real key critical factor is the personalization of content in your emails. They say that “companies that marry high value customers with personalized, specialized offers in their email campaigns produce far greater results on every tangible measure of effectiveness”. Content personalization is not an easy task but according to the research it will likely give you a 38% better open rate and 86% greater click-through rate than non-personalized email messages. The lesson? Work your way through the list above and start playing with content personalization, even if only for a small segment of your database. It will likely pay off handsomely. Pressured to join the social media scene and start tweet-link-face-blogging? Hold on a minute, because first you may want to read what some experts have to say. The Six Free Listening Tools You Cannot Do Without, from Debra Askanase, is a great compilation of free tools that can get you started. Also, worth checking out is her recent post on “the case of 4,000 indifferent twitter followers“. Another good list of tools to use for listening into social media sites is given by Clay McDaniel on this MarketingProfs article. But before you go after all the shiny new tools, make sure you ask yourself the Five W’s of Social Media Listening, courtesy of Jason Falls. There are countless other sources on the web, but I thought these are a very good summary of the basics. If you have come across other great tools or advice, please share! Magic Quadrant or Magic Numbers? A Judge Will Decide. Gartner Group is known in the technology industry as a heavyweight analyst group that influences a lot of purchasing decisions. Big companies all turn to Gartner’s reports to help them on emerging trends and technologies. Software vendors like to boast when they are placed in a specific position on Gartner’s famous Magic Quadrant report. The Magic Quadrant (MQ) report has been around for years and is used to showcase key players in a certain industry, comparing them and ranking them against a set of criteria. The problem? Gartner’s MQs have long been seen with suspicion by industry veterans and no matter what industry is showcased, it has always raised questions about why certain vendors were not included and why their view of the market is so different (like here about the DataWarehouse MQ, here about the WCM MQ, and here when it tackled Cloud Computing just to name a few). Gartner analysts try as they might to correct what they see as misunderstandings again and again are facing an uphill battle. That’s why I was not surprised when I read on Dave Kellogg’s blog that ZL Technologies is suing Gartner over the MQ. Is an interesting lawsuit because it brings up the question of whether these vendor reports can really help or hinder a company’s ability to grow. And it will help stir some debate about the usefulness of such reports to consumers in general and how relevant the reports are. From what some vendors say, depending on your space the analyst report won’t help you at all. Stay tuned! We all like to complain about how much we make, so here’s another reason for you to either shut up or have that awkward conversation with your boss about getting a raise. Exhibitor Magazine’s July Edition showcases their annual salary survey with interesting results. The survey also breaks down salaries by industry and region, so it is worth checking it out and comparing your own salary with the results. This is also a good resource for ensuring your staff is being compensated according to the market and for negotiating salary with someone you are hiring. And I would be negligent not to mention the always thought-provoking posts from Seth Godin, this time about the myth of big salaries. Although his criticism was towards Wall Street financial companies that complain they need hefty compensation packages to attract talented employees, you decide whether it applies to your company as well. Marketers have several tools at their disposal in their arsenal of marketing weapons, one of which is surveys. You can’t be a marketer without having done some surveys in your life, otherwise where will you have gotten your data from? How did you target and fine tune your messages? With the advent of cheap online survey software, everyone it seems is creating and sending out surveys. The good surveys, or should I say effective surveys, are the ones that get people to fill them out giving you enough insight into their market/purchasing process/buying habits/etc. that will positively affect your campaigns. Marketing guru Seth Godin has recently posted a short but very good list of how you can make better surveys, but he misses one very important point. WIIFM (What’s In It For Me?). That’s what the reader will be asking herself as she reads and opens your survey. Of all the possible offers, Knowledge is probably the most enticing. Sure, if you give away a brand new tech toy people will likely get excited about the possibility of winning it, but if you give away Knowledge you will have an even better chance of impressing the respondent. This knowledge can come up in several different ways, such as a compilation of the survey results, a more personalized benchmark of your questions versus the survey population, a whitepaper about the subject at hand, and many others. Few people do it this way because it takes time and money. Regardless of what you are offering (and the offer should vary based on your target population for the survey, your industry, etc.) you will be far more successful if you think in terms of WIIFM – make it attractive enough that they will want to spend a few minutes answering your questions.